TOKYO (Reuters) - More than 40 percent of Japanese companies surveyed have no plans to spend or invest funds generated by an expected cut in the corporate tax rate, a reflection of the deep-seated risk-aversion in corporate Japan and a challenge to the success of Abenomics. The result of the Reuters Corporate Survey of 400 companies taken in late September and early October stands in contrast to other recent indicators of a thawing in corporate risk-aversion on signs of continued recovery in Japan's economy. In the monthly Reuters survey, 30 percent of companies said they would bank any savings from a lower corporate tax rate and build up internal reserves, which now total more than $2 trillion (1.23 trillion pounds) for Japan's corporations taken as a whole. Another 12 percent of companies responding said they would use any cash generated by a corporate tax cut pledged by Prime Minister Shinzo Abe to offset the expected higher costs from a sales tax increase set to take effect in April. Abe's government is seeking an early end to a corporate tax levy that has funded rebuilding from the 2011 earthquake and tsunami. That step is projected to save companies some 900 billion yen (5.6 billion pounds) as part of a stimulus package worth more than 5 trillion yen to be compiled in December. Most companies surveyed by Reuters said a corporate tax cut would be positive for earnings: 54 percent said it would boost profit, while 46 percent said it would have no effect. But only a minority of companies surveyed said they were ready to use the additional earnings in the areas most crucial to the success of the prime minister's "Abenomics" economic programme - investment in plants and equipment and higher wages for Japanese workers. Only 5 percent of companies responding said they would use the additional savings to raise wages. Another 5 percent said they intended to use the savings from a tax cut to increase hiring. "Our profit-and-loss conditions are improving, but the situation remains far from assured. We need to stick to internal reserves," said one machinery maker. About one in five respondents said they would use the savings from the tax cut to offset the cost of updating and replacing ageing equipment and plants. For years Japanese firms have been hoarding cash, instead of spending on plants and equipment or raising salaries, due in part to the view that Japan would remain mired in deflation. As a result, corporate Japan is sitting on a cash pile of some 220 trillion yen, Bank of Japan data shows. Abe has also instructed his government and ruling coalition to start considering a permanent cut in the effective corporate tax rate, set at 38 percent for a large Tokyo-based corporation, which is higher than the global average of 24 percent. Analysts have cautioned that the economic boost from a corporate tax cut could be muted. After two decades of slow growth and deflation, only about 30 percent of companies pay corporate tax. The rest are either unprofitable or they are able to apply tax credits accumulated from losses incurred during the lean years. The Reuters Corporate Survey was taken between September 30 and October 11 alongside the Reuters Tankan survey of business sentiment. That indicator showed confidence among manufacturers was steady in October, a sign the positive mood generated by Abe's reflationary policies is continuing. Other recent indicators have also been positive. 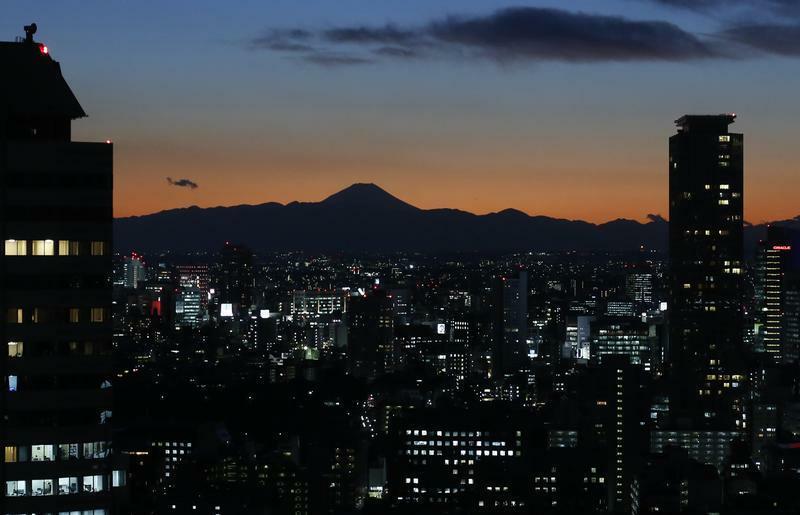 Earlier this month, the Bank of Japan offered a slightly more upbeat assessment of capital spending, saying corporate investment was picking up as profits improve. Abe's government has kept pressure on large companies to raise wages when annual negotiations begin in early 2014. Hiromasa Yonekura, chairman of the business lobby Keidanren, on Thursday hailed the planned government stimulus package and pledged to do the utmost to meet the government's wishes. "I conveyed the collective will of business circles that we want to invest profits in capital spending and wages," Yonekura told reporters after a meeting between business leaders, labour union representatives and government officials. Akio Toyoda, president of Toyota Motor Corp <7203.T>, told the same meeting that he would consider returning improved profits in the form of pay, while Hitachi Ltd <6501.T> Chairman Takashi Kawamura said raising base wages would be an option. Many Japanese firms have preferred to increase bonuses instead of base wages to avoid rises in fixed costs. The Corporate Survey, conducted for Reuters by Nikkei Research, polls upper management at 400 companies capitalised at more than 1 billion yen each. The firms, which are split evenly between manufacturers and non-manufacturers, are not required to answer every question and provide responses on condition of anonymity.